For this writer, the Long Pond 1941 remains, after maybe ten separate tastings (including a Rumaniacs sample), three purchased bottles and numerous sharings, one the most spectacular Jamaican rums ever made and not simply because of the titanic age — 58 years old (beat that if you can, Appleton). 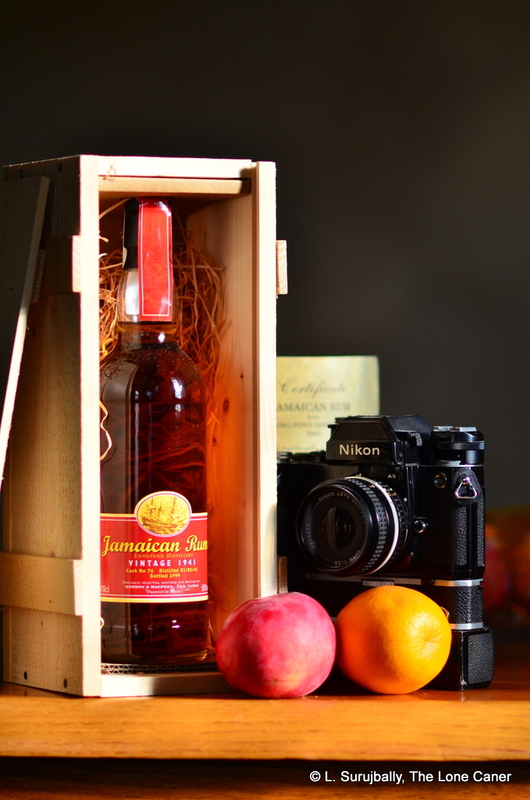 It takes the passage of years, and many other Jamaican rums to be tried alongside, for the rum to snap properly into focus and be seen for its true quality. And unlike the earlier Velier rums which sometimes sell for €4000-5000 a bottle, if they can even be found, the 1941 remains puzzlingly available and relatively affordable at around the thousand Euro mark. You might have to search around a bit, but it can be found. It’s a monument to G&M and Jamaica, the old ways and the old days, when making aged rum was not glamorous, but the same careful, patient quality was used to make them, because they deserved it. Nose – Strong, deep, warm and not over-oaked. All my tasting notes on this thing refer to the sweet aromas freshly-sawn cedar planks, and to that is added rubber, phenols, some Indian spices (tumeric, cumin and massala for the most part)…and that was just the beginning. After ten minutes or so, mint, grass, some caramel, nail polish, olives, bananas, and plums and dates. The sweet and salt elements are amazingly well balanced and overall, just a great nose. Palate – The 50% is perfect. Less and it would have dissolved into a cupcake, more and some of the subtleties might have been lost. It’s warm and solid, quite velvety on the tongue. Cedar again, burnt sugar, hay and the dusty notes of a dry barn. Burnt sugar, prunes, raisins, and also some greener, fresher components, of apples, more bananas (starting to spoil), pears, and some citrus all coming together in a superlative assembly. Finish – Grapes, cedar, cumin, and some citrus zest wrestle for dominance in a very bright, long finish that does not disappoint. A fitting finish to a lovely rum. Thoughts – Young and old, sweet and salt, sugar and spice, all delicately balanced against each other…you know it’s Jamaican, just not what kind. I don’t think any rum could possibly be aged that long in the Caribbean and survive. Velier remains wedded to the principle of tropical ageing, and is at one end of the spectrum; Compagnie des Indes is at the other end, specifically going in for slower maturation of the cooler climes of Europe – they believe the slower, more gradual interaction of wood and spirit allows subtler flavours to develop than that given by the brutally fast tropical regimen. G&M may be the ultimate practitioner of the European ageing route (alongside Silver Seal, which also put out a 1941 rum, and from the same batch) and issued this rum as perhaps the definitive statement in support of that ideal. Given its quality – dare I say magnificence? – I can’t say they’re wrong. To paraphrase my original review, G&M did something stunning here – they went right ahead, aged a Jamaican from the war years beyond all reason…and issued this amazing rum, a rum right off the scale, after dreaming mad dreams of greatness. Other reviews of the rum are available on the Rumaniacs page, here.